At the roundabout signed A184 Boldon turn right. Follow this road straight through Boldon. Bear right onto Newcastle Road (A 1018) then turn left after Fulwell mill. 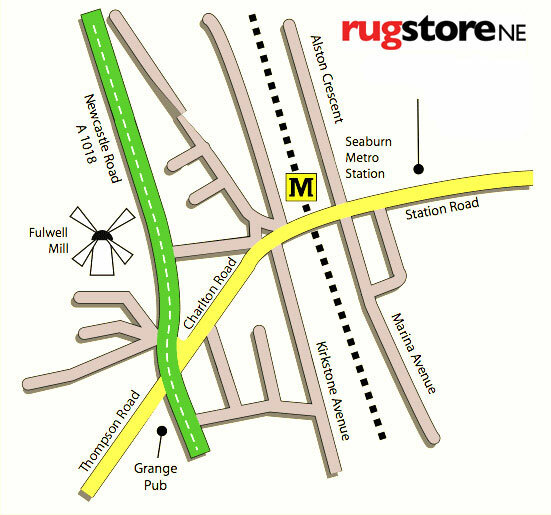 Rugstore is situated 300m on the left opposite the fire station. Exit Seaburn metro station, turn left, walk 100m downhill.